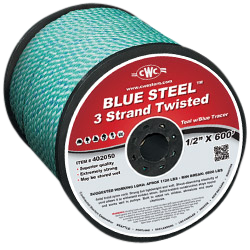 High strength BLUE STEEL™ truck rope features less elongation and more strength than standard polypro truck rope, and up to twice the wear life. 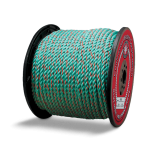 This rope offers excellent resistance to abrasion, UV light, oil, grease and most common chemicals. This rope floats and will not absorb water.